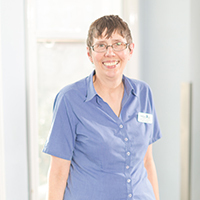 Caroline has been our Practice Administrator since 2002 and deals with many varied Barton Lodge administration and financial duties. When Caroline left school her first job was as a Trainee Veterinary Nurse. She qualified in 1977 and worked as a veterinary nurse with Mr Southerton's practice in Hemel Hempstead for 5 years. Apart from several years spent at home caring for her children Caroline worked mainly in administrative roles including 10 years as IT support staff in a large secondary school. In summer 2006, Caroline gained her Veterinary Practice Administration Certificate.